Alas when I wrote this review for Duthie's Reader in 1995 how was I to know that Jerome Charyn would retire the "Pink Commish" Isaac Sidel and that I would have to satisfy my appetite for Charyn books with some not so satisfying books as a treatise on ping-pong (never table tennis) Sizzling Chops & Devilish Spins - Ping-Pong and the Art of Staying Alive (2001). Or I would polish off in an evening his slim autobiographical books like the one about his mother The Dark Lady From Belorusse (1997). Like most Chinese/Roumanian food these books left me hungry for more. By 1973, Bronx author Jerome Charyn, then thirty-six, had written seven novels. Each one had "sunk into invisibility". He decided to "scribble a crime novel". He invented a New York tribe of pork-eating marrano pickpockets, the Guzmanns (from Lisbon via Lima), angels of doom in the fall of Ping-Pong-playing NYPD homicide detective Manfred Coen in Blue Eyes. Charyn's crime novels, himself haunted by the dead Blue Eyes. Blue Eyes, Marilyn the Wild, The Education of Patrick Silver, and Secret Isaac are known as The Isaac Quartet. 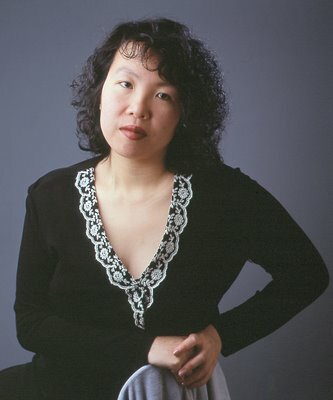 Beginning in 1990, Charyn wrote four more, The Good Policeman, Maria's Girls, Montezuma Man and Little Angel Street, collectively The Odessa Quartet. In the eight novels (all published my Mysterious Press) Isaac Sidel rises from first deputy police commissioner to commissioner(in which he uses a desk of that other famous commish, Teddy Roosevelt) and then in Little Angel Street to mayor elect of New York. 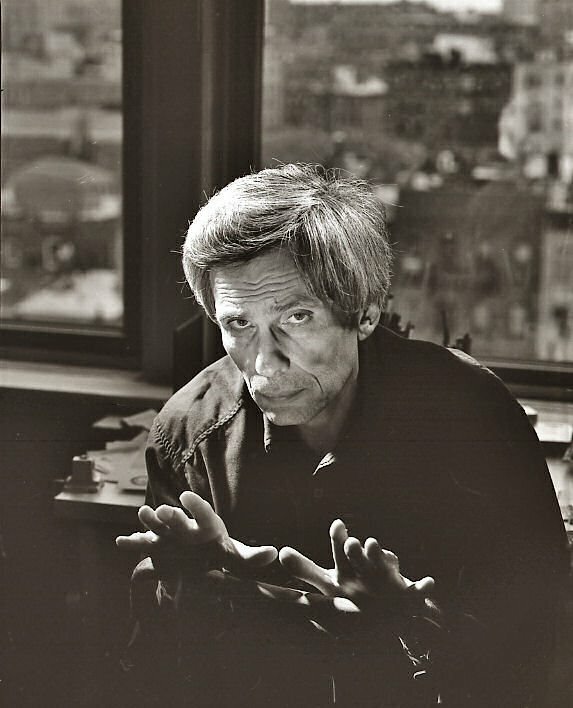 I was in Jerome Charyn's Greenwich Village apartment in October, 1995 and I asked him why Isaac Sidel always cried. Charyn replied, "In our culture it's considered effeminate. It condemns emotion in men. I like Isaac to be as if his whole body, everything about him, could express his feelings, from his tapeworm, to his sideburns, to his tears. He's someone who bleeds. His feelings erupt quickly. I like the idea of men crying." While sipping my tea I watched Charyn's intense eyes and recalled a description of him by his friend Mexican writer Paco Ignacio Taibo II": the Vampire of Manhattan-Paris". (When Charyn is not in New York he lives in Paris in a flat overlooking Montparnasse cemetery.) I asked Charyn why he isn't rich and famous. In a resonant voice (Manfred Coen's, Isaac Sidel's?) he replied, "My use of language is very particular and it's something that many people cant'deal with. To me everything is in the language. Am I realy a crime writer? A mystery writer? When the French look at it they look at in in terms of the metaphysics. They understand what I am trying to do. I don't think the Americans really do. My books are linguistic attacks that happen to to talk about cops. I'm not intersted in catching the crook. They are a shadow land where good and evil just come together and you can't tell the difference." Between 1973 and 1994 Charyn wrote eleven other novels (including, in 1985, War Cries Over Avenue C a horrific book about Vietnam that Charyn describes as "a hallucination that has the very fabric of New York") and a non-fiction book about New York Metropolis (my favourite book ever about the city), Darlin' Bill, a fantasy about "Will Bill" Hickok, won Charyn the Richard and Hinda Rosenthal Foundation Award of the American Academy and Intitute of Arts and Letters in 1981. Asked about the award shortly afterterward, Charyn said, "It is given to 'that novel that is a commercial failure but is nevertheless a literary achievement'. You have to lose in order to win. 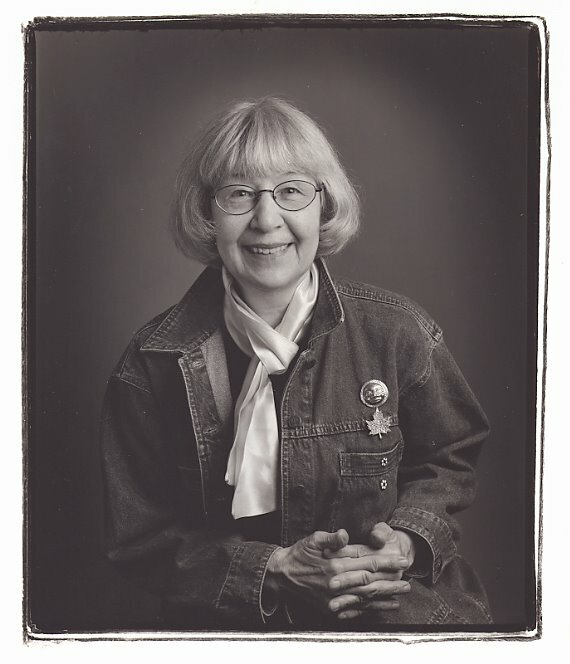 In past years it's been won by Joyce Carol Oates, John Updike, Philip Roth, Thomas Pynchon and Bernard Malamud." That Charyn isn't rich or famous I take as highly subjective but simple proof that God does not exist. Note: In Charyn's last Isaac Sidel novel, Citizen Sidel (1999), the former commish becomes Vice President Elect of the United States. I am not sure if my favourite New York Times columnist, Maureen Dowd, has ever read Jerome Charyn. Her columns somehow remind me of Charyn's scribbles. 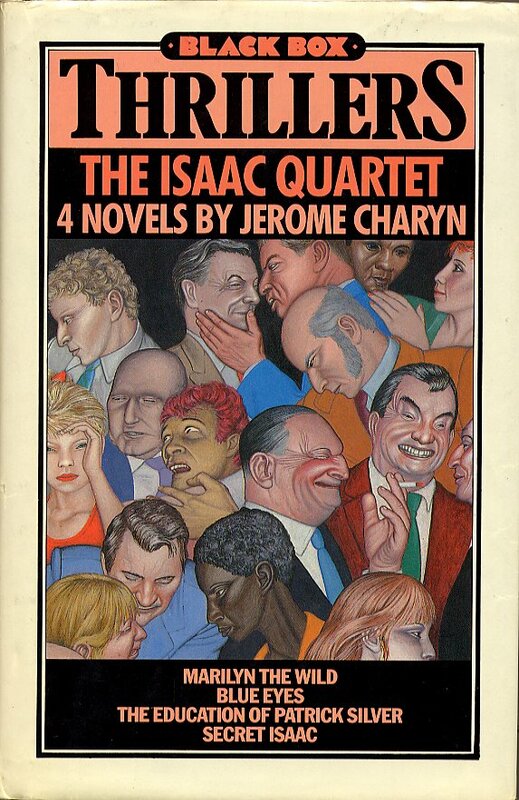 All of Charyn's Isaac novels (and a couple non-Issac featuring retired hitman Sidney Holden, Elsinore and Paradise Man ) were designed and illustrated by the mysteriously named Bascove (above, left). While in New York in 1995 I did get to meet Bascove. Bascove was a very short and energetic young woman. While I learned to perfect my ping-pong on the pitching deck of an Argentine Navy ship I had the impression that even with a Butterfly bat in my hand I would have been soundly defeated by Charyn. There is a sweet spot where the bum of a woman suddenly becomes the thigh. I believe that it does not have a name. It should, because it is one of the most beautiful places on the human body. And the most beautiful example of that most beautiful unnamed spot belongs to my friend Tarren. I have had the privilege to observe it in great detail in the almost 28 years that I have had the good fortune to take her photographs. Now Tarren's unamed spot is particularly beautiful because she happens to have one of the most beautiful bums and legs I have ever seen. I will post here several photos to prove my point. She somehow posed a few times with furry friends both real and artificial. She even posed with my cat Gaticuchi in my home studio in Burnaby. I have been prompted to post the photographs because today I am invited to celebrate Tarren's 50th birthday. I have been thinking about her as I sorted through my thick Tarren photo file. Have I been lucky? Yes, specially as I have seen her mature and become a bit older than those 22 years she had when I first saw her. I will be a bit difficult for me to confirm tonight if her unamed spot is as good as ever. It is my suspicion that it is. Until 1964 I read every science fiction book I could find. I started this craze of mine around 1955 when I lost interest in reading about Achilles, the Greeks, the Trojans and the Spartans. That is how I first started reading Kurt Vonnegut. In 1952 he wrote Player Piano and in 1959 The Sirens of Titan. He was considered a science fiction writer much as Gore Vidal. 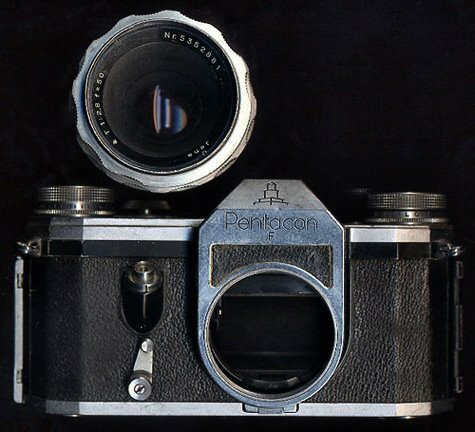 In 1958 I bought my first serious camera, a Pentacon F with a Jena made 50mm F-2.8 Tessar lens. On the bottom of the camera, embossed on the leather, it read "Made in USSR Occupied Zone. The Pentacon traveled with me to Buenos Aires in 1965. In the first few months of my stint in the Argentine Navy I stayed with my mother's friends the American Sullivan family. The oldest son, John Sullivan was a conscript in the Argentine army. Since he had been educated in the US he was much older than the official age of 20. So John was 4 years older. At the time I felt I was an idealist and my world was black and white. John and I had massive arguments as he stated that the world was not cut and dry and that its colour was gray. He said that absolutes only existed in mathematics and science and in all other cases it was all relative. In 1971, I had been married to Rosemary since 1968, she and I went to the American Mexican Institute of Cultural Relations ( a front for CIA) to listen to a lecture by Kurt Vonnegut. In his lecture (both Rosemary and I were charmed by his warm demeanor) he asserted that he had coined the term "open beaver". It was about then that I read Slaughterhouse Five and came to understand how right John Sullivan had been. In Slaughterhouse Five I read how the Americans had sent bombers equipped with demolition bombs followed by British bombers with incendiary bombs. Some general had calculated how long it would take for neighbouring fire departments to send equipment into the fire bombed Dresden before unleashing another wave of bombers. I realized that my idea of good and evil, black and white was all wrong. John Sullivan had been right. The image of a raging lion escaping the Dresden zoo in the firestorm has been etched in my mind since. Vonnegut took care of eliminating that naivite of my youth. 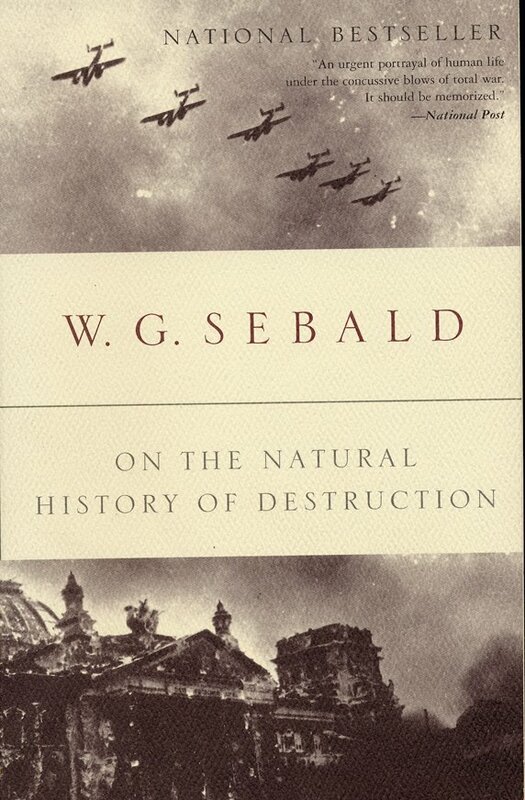 Last year I read W. G. Sebald's horrific On the Natural History of Destruction and somehow it wasn't so horrific. Perhaps I had been deadened a bit by Vonnegut back in 1970. That Sebald, a German writer of note would die in an automobile accident in Norfolk, England in 2001 makes me suppose that Billy Pilgrim would have said, "and so it goes." And yes that shattered Russian zone where the body of my Pentacon F was made was a quickly re-built Dresden. MacMillan Bloedel executives every year for many years. They were urbane, interesting and their office was here in Vancouver. I photographed many other forest product industry honchos and most of them were boring, very straight and the reading material in their reception offices (where I spent long hours waiting for them to give me the time of day) consisted of tractor brochures and infinitely boring forest industry trade magazines. There was one exception and that was Lignum's Jake Kerr. His reception room at his office on West Georgia Street was decorated with Christopher Pratts. There were no forestry trade manuals but many interesting arts magazines and books. I could have easily waited for hours with such reading material. In his office, the two times I visited Kerr, he had a pile of very red Gathy Falk (at right) apples sitting on a tall white plinth. 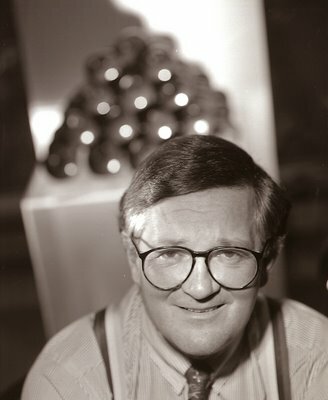 I recall also seeing a Joe Fafard sculpture. This does not mean that Kerr was completely the atypical BC forest product executive. I remember seeing him dressed in work boots and work clothes at the private jet terminal Esso Avitat in Vancouver. I was off to San Miguel de Allende for a magazine and Kerr was there surrounded by several men. When he said, "Let's go!" they all got up in unison and followed him out to the waiting jet. My guess is that Jake Kerr and all those others I photographed represent a end of an era. Today I read in the Vancouver Sun an announcement that Jake Kerr has been appointed Chair of the Vancouver Foundation. If there is anybody who can promote and help the arts in Vancouver he has to be the man. Yesterday morning when I looked through the window of my living room I saw masses of blue/lilac buds on a shrub that is dear to my heart. 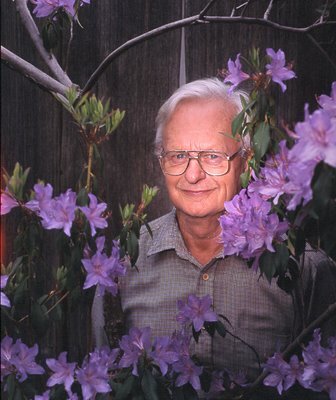 Perhaps ten years ago Kaponga (New Zealand) born plantsman (this is the term he prefers to describe himself) Alleyne Cook showed up in my garden with a pot that had a sorry stick emerging from it. "Alex you must have Rhododendron augustinii in your garden. Cook pronounces botanical names his own way and refuses to acknowledge the syllable that separates the two Is in the species name augustinii. We argued about it but then we both love to do that. 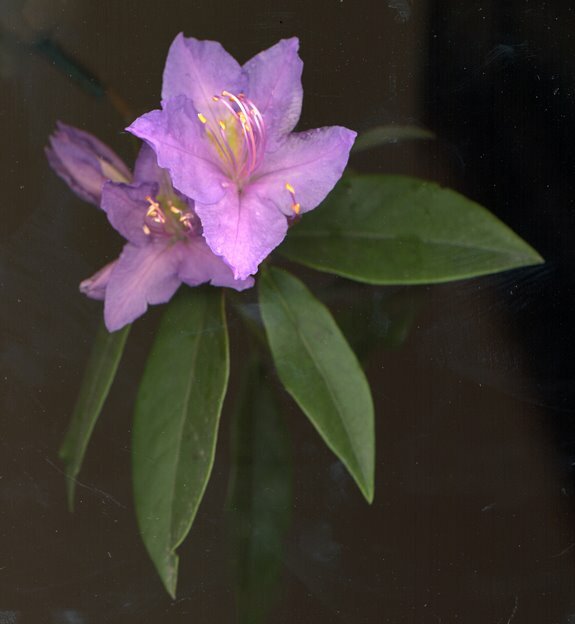 Rhodendron augustinii and Rhododendron racemosum are the first rhodos to bloom in my spring garden. This species rhodo is extremely popular as it is one of the few that approaches the colour blue. Strange as it may seem the island of Rhodes is named after the Greek word for rose or rhodon. Rhododendrons were perhaps given that name because of a similarity to the colour of roses. But both rhodos and roses share an inability to produce a pure blue flower. Alleyne Cook told me, "Everybody thinks his or her augustinii is different so there are countless named cultivars." I tried to nail Cook down with some basic info on augustinii and he was most forthwith. It has all to do with the colour of the flower's throat. The perceived colour of this rhodo has a lot to do with it. 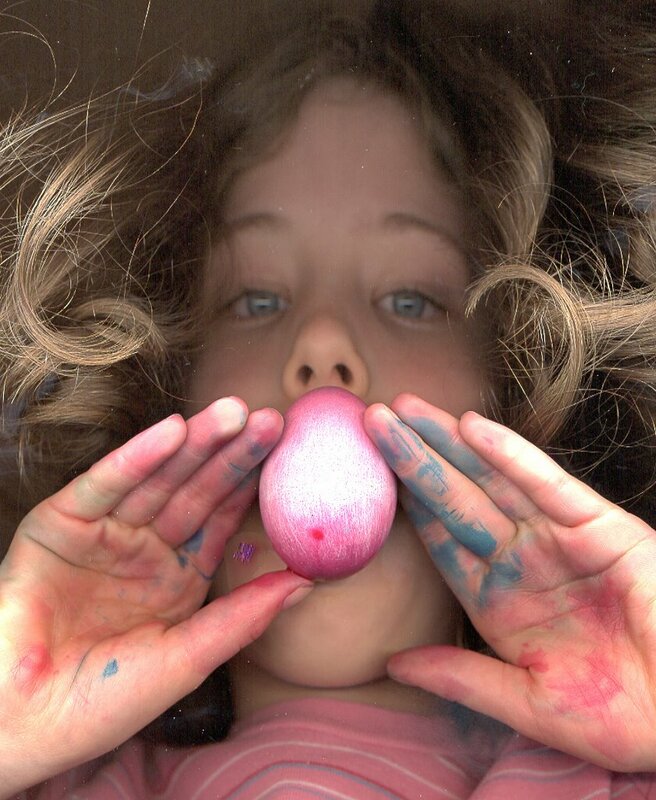 If the throat is yellow or green the overall shift of the flowers will be from red to the blue spectrum while if the throat is maroon the shift will be towards the lilac. And then there are augustinii that are darker and others that are lighter. Cook found a variety in his garden that was between two that were very dark and it had a yellow green throat. He named his plant Rhododendron augustinii 'Marion McDonnell' after his friend, Vancouver's "Blue Poppy Lady", Marion McDonnell. You can see him here proudly posing with her in his garden. It is always a pleasure to visit or be visited by the Cooks. They are a perfect blend of charm with punctilious erudition. When the phone rang before 9 a.m. in the late 80s I was generally prepared for an urgent request for a photo of Vancouver writer Evelyn Lau to be sent pronto by Fedex (this was well before the press & send digital revolution). Those requests came from publishers and magazines in London, Tokyo, Copenhagen and once even from Sao Paulo. Those lucrative awakenings began with an early-morning call from Toronto literary agent Denise Bukosky in December 1988. 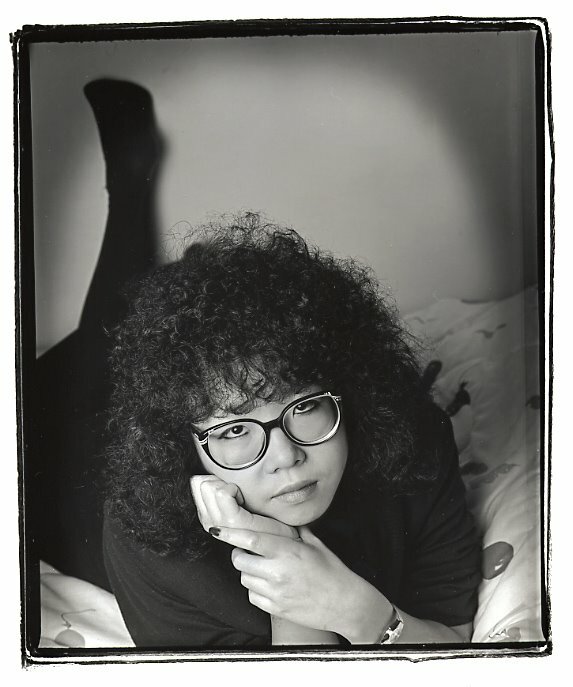 I was to photograph a 17 year-old girl, Evelyn Lau, for the cover of her book Runaway: Diary of a Street Kid. Based on a diary she started at 14, it details her experiences living on the street and her struggles with drugs, prostitution and attempted suicide. Nancy Flight, her editor, was to be my local contact. When I met up with Flight in February 1989, outside Evelyn's rented suite, Flight's demeanour was glacial. Flight had called me a week before to ask for my studio address. I had replied, "I am going to photograph her where she lives. She will be more at ease. And I'll pose her on her bed. I's sure she has a young girl's beadspread." The silence on the line was eloquent. 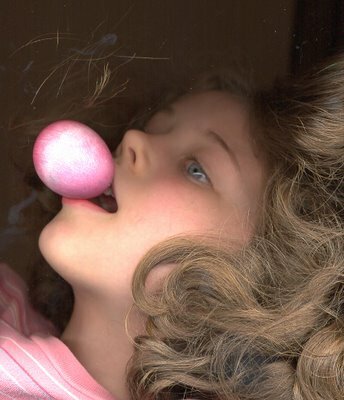 It didn't seem to help when I explained that I had a daughter of the same age and that I had photographed her on her bed. Flight stressed, "I'm going to be there." Although the poised 17-year-old Lau seemed to be an adult (much more so than my daughter), she didn't think twice about my request. After all, she was also a teenager. I wasn't disappointed; her beadspread featured red balloons. Although another photo, not on the bed, taken later that day was ultimately used for the cover, I still treasure that first exposure of Evelyn on her bed with her dark-rimmed glasses. She was to pose for me many times and here is one of my favourites as a mature woman (1990) who is most womanly and feminine. Rebecca and Lauren reversed roles with me yesterday at Granville Island. Rebecca had no ballet at Arts Umbrella and Lauren had a birthday party at Kids Only there, This meant that it was not Lauren but Rebecca with whom I had tea at the Granville Island Tea Company. Rebecca insisted we go to the Salmon Place to look at the trouts. It was here that I bought the trout for the picture of Jonathon Young as Trout Stanley. We also had a chat with carver artist Todd Woffinden and we asked him of the status of his partner Andrea Hodge. She is expecting in June. I believe that for Rebecca's birthday I may have to buy for her one of Todd's beautifully carved whale tales. Yesterday was a pleasant sábado de gloria. I listened to Giordano's Andrea Chenier live from the Met (with no less than Ben Heppner in the title role) in CBC's Saturday Afternoon at the Opera. 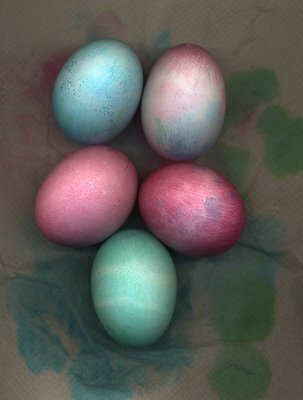 At my request Rebecca coloured some Easter eggs and promptly dripped some purple dye on our living room's white sofa. I became a little furious. Once I got over with that we did the three scans you see here. It is my Argentine nephew Georgito O'Reilly who says the most important activity of our existence is to converse and share food with our children, grandchildren and family. He is right. Rosemary and I rounded out the day by enjoying a powerful, off the wall and really very funny Trout Stanley at Performance Works on Granville Island where I had begun my day. We both look forward to serving a meal to our family this afternoon.